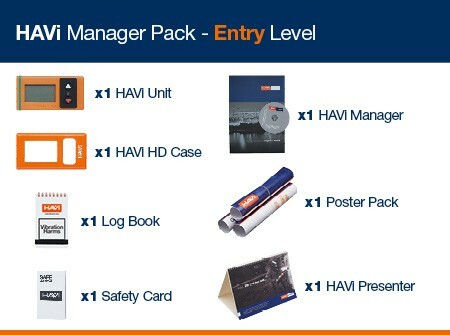 The HAVi Manager is the complete HAVi Hand-Arm monitor kit comprising of all the elements you need for total compliance with the Control of Vibration at Work Regulations (2005). 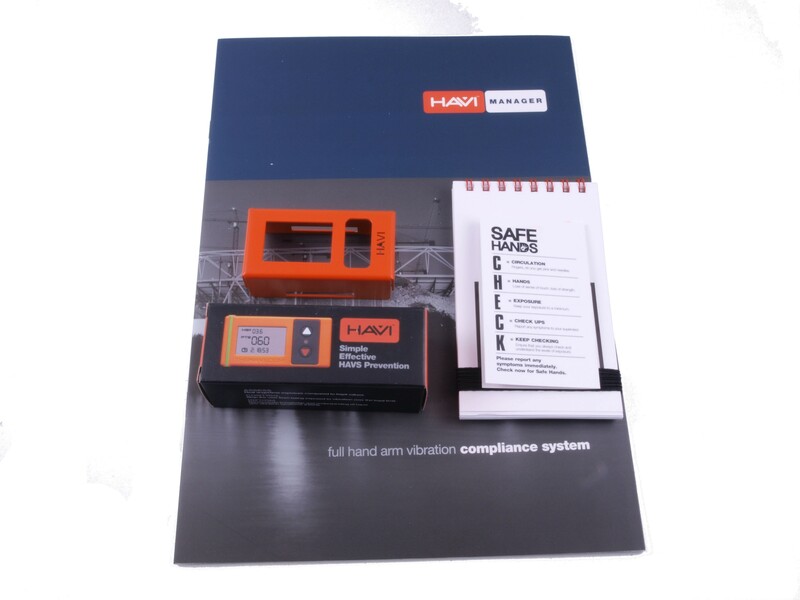 The HAVi Hand-Arm vibration monitor is the simple solution to monitoring hand-arm vibration syndrome (HAVS) and is simple to use. 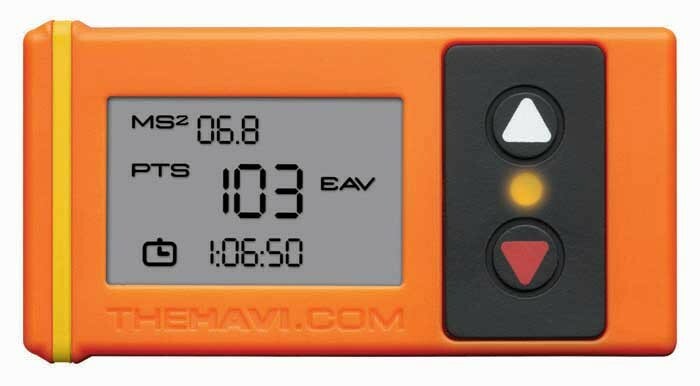 Just strap the HAVi to the tool being used and monitor the vibration levels using the HSE Points system, then record the points in the log book. 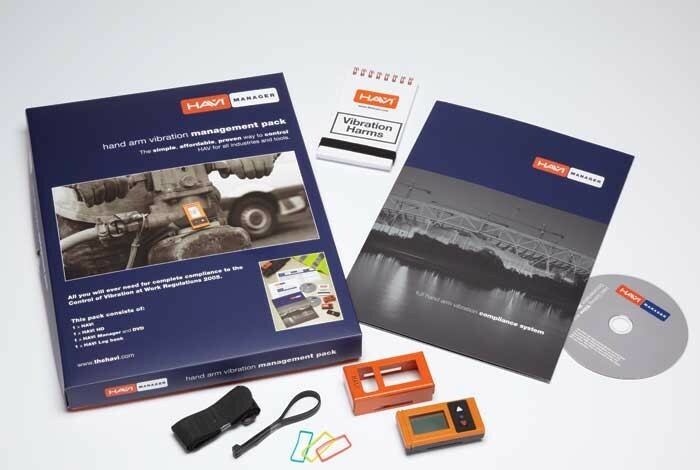 It is now easy to achieve compliance with the Control of Vibration at Work Regulations 2005 and the EU Physical Agents (Vibration) Directive 2002/44/EC.